No matter where you are in your life. We all get into situations in our lives that are not ideal. Many people have many different ways of dealing with these situations. One source of encouragement for me in hard times is good quotes. Of course, it isn't the first place I look for answers because God is. But sometimes a quote, although it may be cheesy and cliche, is exactly what I need to calm my heart. Here are a few quotes I've found for different situations along the way. 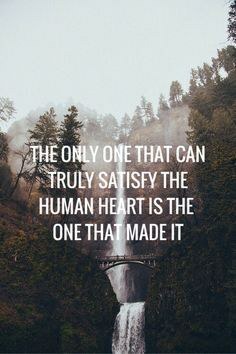 "The only one that can truly satisfy the human heart is the one who made it." This is for the times when you feel dissatisfied with life. You didn't get that job you wanted, the first place trophy, that person doesn't like you, or he/she seems to have so many more friends than you. When all the doors seemed to be closing in on you, this quote is a reminder that God is the only who can truly satisfy us. No amount of success and no number of wins can do what He can for our hearts. 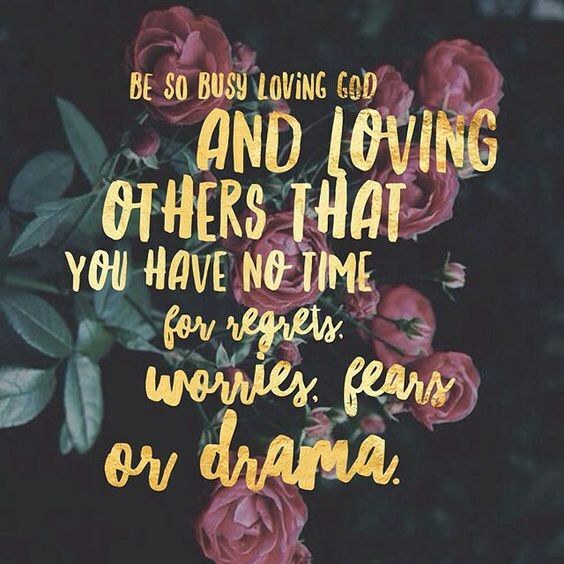 "Be so busy loving God and loving others that you have no time for regrets, worries, fears, or drama." This is for the minds that have trouble being still. When your life is so busy and begins to become consumed by things like worry and fear, turn your eyes to God! Begin using your mind to think of all He has done for you, how much He loves you, and how much you love Him. This quote reminds me to fill my mind with thoughts that bring me peace and joy. 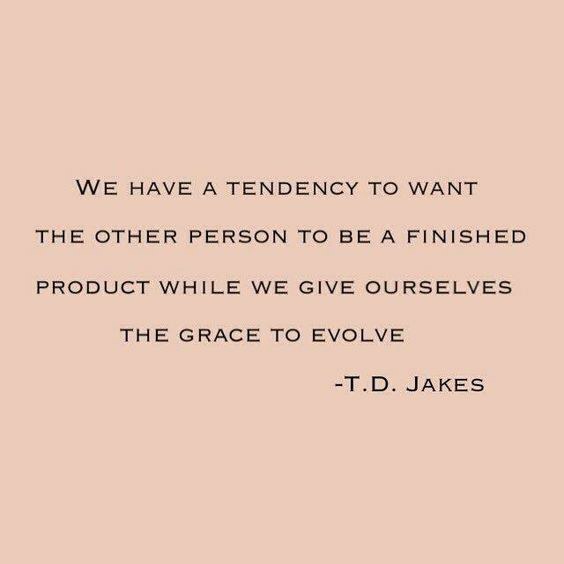 'We have a tendency to want the other person to be a finished product while we give ourselves the grace to evolve." When you're frustrated with someone in your life remember this. People WILL let us down. It's part of being human. None of us are perfect, and we all fall short. We need to give people grace if we expect to also receive it for ourselves! "Don't mistake God's patience for His absence. 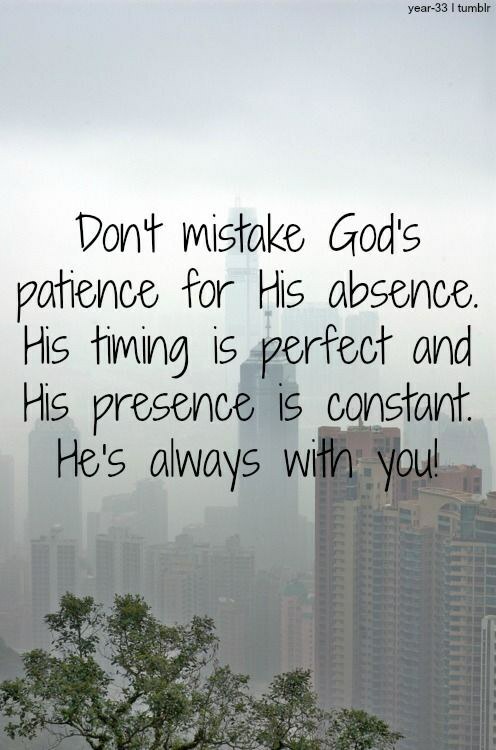 His timing is perfect and His presence is constant. He's always with you." Everyone has felt like God is absent. Of course, that isn't the truth, but when life isn't going well it can be easy to believe the lie that says He's left you. Let this quote act as the reminder that just because God is silent doesn't mean He isn't still right next to you. "If God wants a thing to succeed - you can't mess it up. If He wants a thing to fail - you can't save it. 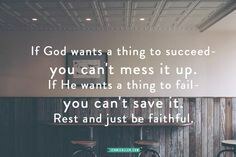 Rest and just be faithful." For the achievers. I'll speak for myself in saying I can fall into the pattern of trying to make everything go right. I want to succeed so much so that I drive myself crazy trying to make all the pieces fit together. However, if something isn't meant to be, even my greatest efforts won't make it happen. And if something is meant to be, then it will be.